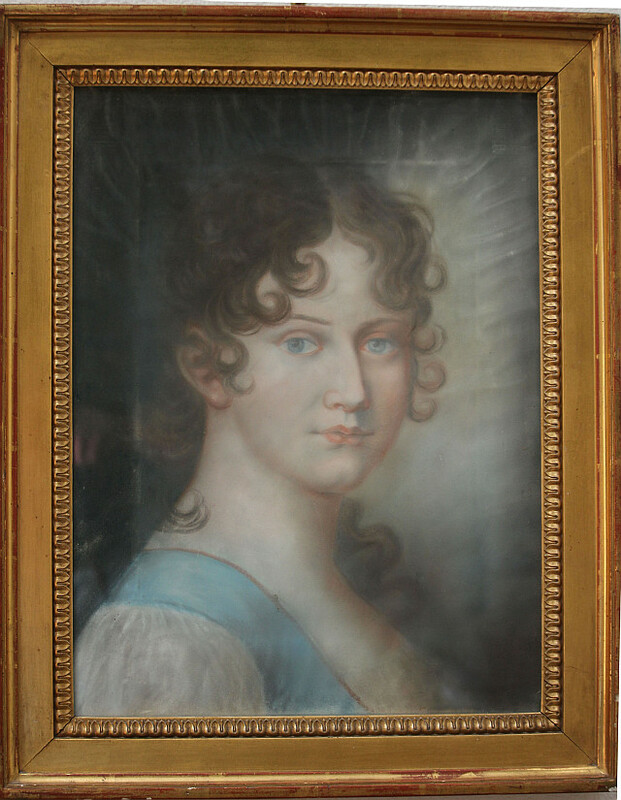 French pastel portrait of a young woman. Classical work of the empire period. Later gilt frame.